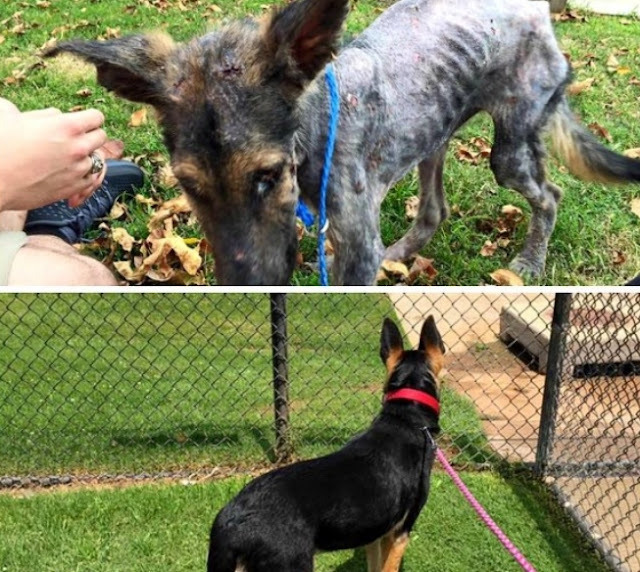 When you see the before and after pictures of Frannie the German Shepherd, you can’t help but feel completely shocked. 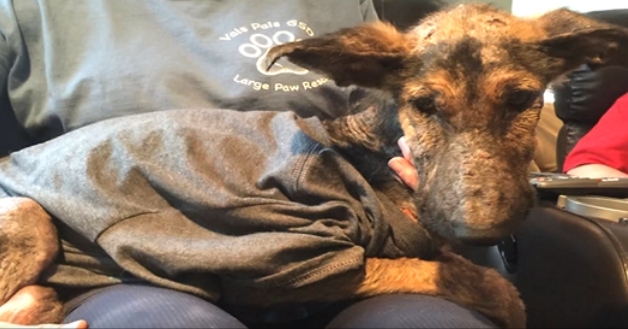 The dog was found clinging to life one cold December night in Houston by volunteers with Val’s Pals GSD and Large Paw Rescue. 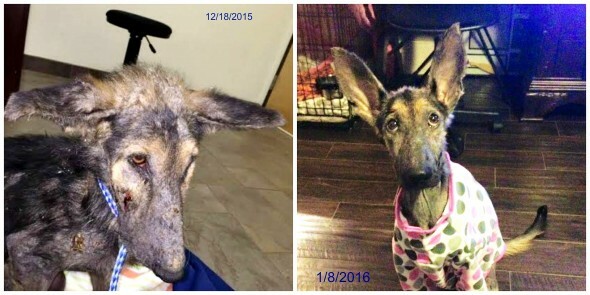 With her health quickly deteriorating, Frannie was taken for emergency medical care. 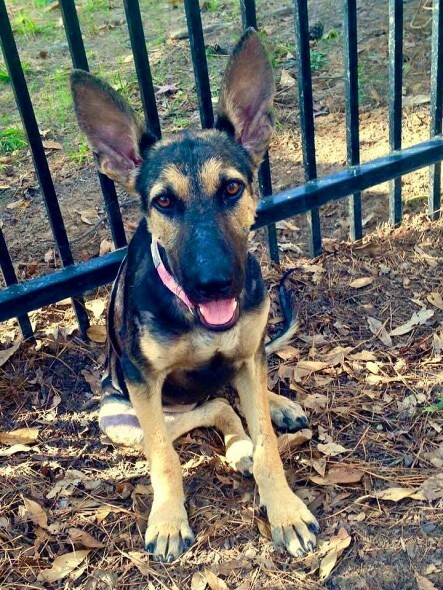 The group held a prayer vigil as the dog fought for her life. The biggest health concern was from the starvation and avoiding re-feeding syndrome. She was also anemic and required frequent blood draws to keep close tabs on her electrolytes, blood glucose, and protein as vitamins and minerals were reintroduced to her system. 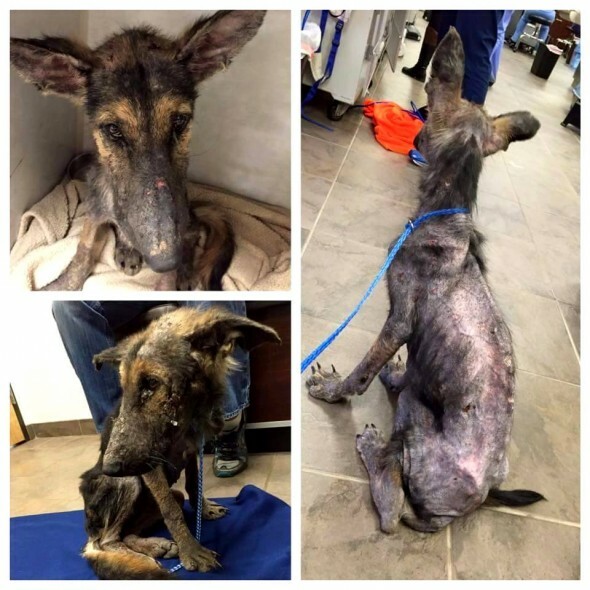 She was placed on IV fluids and fed very small meals every two hours. We expected her to remain under ICU care for weeks. There were ups and downs along the way. At one point, the staff at Vergi didn’t think she was going to make it. 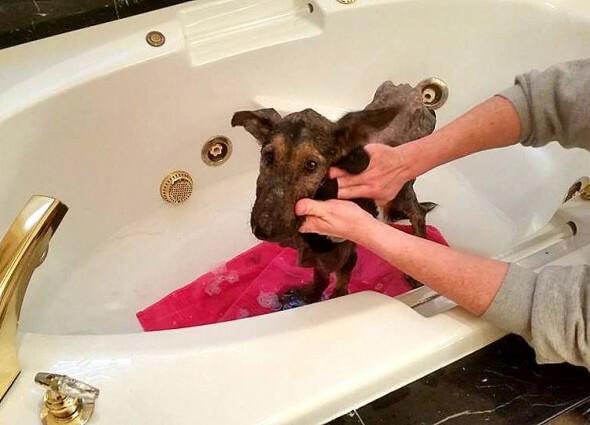 Showing signs of improvement, Frannie was released to a foster home for further care. 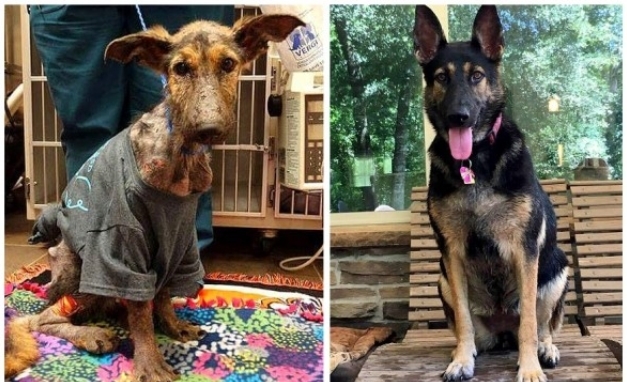 After a few months receiving strict medical care, Frannie was almost unrecognizable. 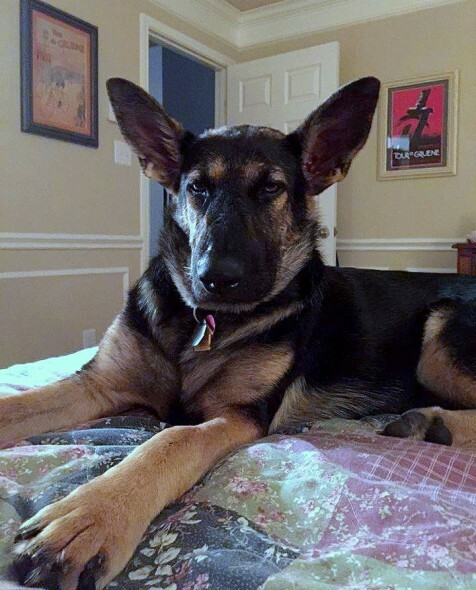 Since then, the determined dog has found her forever home and is making sure to enjoy every moment of her new life. Frannie now has the mom and dad she never had and a brother. Her life is perfect. It is hard to believe seeing her today and knowing it’s barely 7 months since she was a mere skeleton on death’s door. Responses to "Abandoned German Shepherd Who Had Given Up on Life Makes an Amazing Recovery"
Incredible. God bless those whom intervened!